Established in 1968 and still independently owned and run, B Simmons & Son firmly believe in total commitment and dedication to its clients. We have a very pro-active approach to both the business and customer care and on that basis we strive to deliver a truly first class professional service. Your home is probably the largest single investment that you will ever have. Moving home isn’t complicated but it can be a daunting prospect. In recognising this, B Simmons & Son realise that home-owners need an estate agent they can trust; one that will look after their interests and make selling their home as stress-free as is reasonably possible. …Probably the most frequently posed question an estate agent has to answer and one to which there is no definitive answer. B Simmons & Son believes that in most circumstances, the best advice has to be to place your own property onto the market before you start looking in earnest. Doing so has many benefits, not least that you will be taken a lot more seriously, both by estate agents and sellers, if you have placed your own property ‘for sale’. Purchasers may wonder why some houses sell before a ‘For Sale’ board has even gone up! Typically the first people an estate agent will contact are those who are in the best buying position. Then, only if none of these want to buy, will a house be more widely offered. As a result, many of the most desirable properties only get as far as being offered to purchasers who are in a position to proceed. If you haven’t sold your property and you see a home that you are interested in purchasing, assuming the vendor will accept your offer, there is little chance that they will commit to taking their property off the market and, more than not, you will end up disappointed when a purchaser in a stronger position steps in. What if we can’t find somewhere to buy? This is a common objection to selling first and is where your estate agents experience comes in. When marketing a client’s property, we don’t just look for any buyer; keep us advised of your situation and we will look for a buyer to suit your individual circumstances. One who can move quickly or, if necessary, one who is prepared to wait for you to find something to move to. Don’t forget, it is your house and no-one can make you move unless you choose to. A recent consumer report warns home-owners to be wary of less reputable agents who take advantage of sellers natural inclination to choose the agent who flatters them with the highest valuation. Home-owners should be conscious of this and also be mindful that valuing a property is not an exact science; it will require B Simmons & Son to interpret the marketing on your behalf – always taking the above factors into account, in order for us to provide an accurate valuation and most importantly one upon which you can rely. "Thank you so much for all your hard work, it’s been a pleasure to deal with all your team. You were helpful and friendly, always took the calls and dealt with everything efficiently and promptly. Thank you again"
The property market is highly competitive: even in a strong market with rising prices, an overpriced property will have to wait until the market catches up with it. In a stable or declining market, an overpriced property simply will not sell; there are too many competitively priced. Ultimately it is the buyer who sets the price; as until a buyer commits to purchase at a specific price, the value of that home remains undetermined. Whilst it is the buyer who determines the selling price, it is the owner, in consultation with the estate agent, who sets the asking price. More buyers visit B Simmons & Son first – the most successful and best known estate agent in the local area. B Simmons & Son will produce eye-catching, full colour property details of your home. These can include internal and external photographs along with a concise description. B Simmons & Son invests largely in the Property News paper which is THE main weekly publication for the area with a distribution of approx. 80,000 homes every week. Research has shown that the visual aspects of marketing a property are of paramount importance in order to generate more enquiries from buyers. B Simmons & Son has a network of branches situated in prominent locations, featuring the latest in home selling technology. You may prefer to conduct the viewings yourself however, we fully appreciate that you may not always be available to show potential buyers your home, or it may simple be that you would prefer a member of B Simmons & Son’s staff to be present. Our negotiators are normally available, or if this is your preference. prospective purchaser are invited to view the property. A carefully planned and executed strategy is implemented for each individual Open House event. This type of marketing often creates a competitive situation amongst serious purchasers which works to the vendor’s advantage, both from a pricing and timing point of view. Our high profile boards are recognised as one of the most effective advertisements: working for you 24 hours a day. Enquiries received from boards are among the most positive, after all, buyers already like the location and external appearance of your home. B Simmons & Son staff are experienced in the skills of negotiating, and receive ongoing training. This ensures that, when we receive an offer on your property, we will discuss it with you and negotiate the best possible sale price, whilst also ensuring that we fully understand the buyer’s situation and their financial arrangements. Once you are satisfied, we will inform solicitors on your behalf and appoint your very own dedicated sales Progression Advisor. Our biggest asset is our staff. B Simmons & Son attracts and selects the very best in the business. Our teams are highly trained professionals whose local knowledge and expertise ensure the service you receive is of the highest standard. There is nothing more frustrating than being kept in the dark, especially when it comes to the sale of your property. At B Simmons & Son we appreciate just how important it is to know what is happening. help reduce this figure significantly with our trained and dedicated Sales Progression team. In order that your property’s sale and your move runs as smoothly as possible, B Simmons & Son advise you to follow some simple guidelines. It is recommended that you instruct your Solicitor at an early stage in order for them to begin some of the procedures and prepare some of the documentation, to save valuable time once B Simmons & Son have found a buyer for your home. It would be particularly helpful to advise your Solicitor of your mortgage lender and account number in order that they can obtain the deeds in advance; this can save literally weeks at a later stage. If the property you are selling is a flat or leasehold property, you will need to ensure that your ground rent and management charges are up to date. 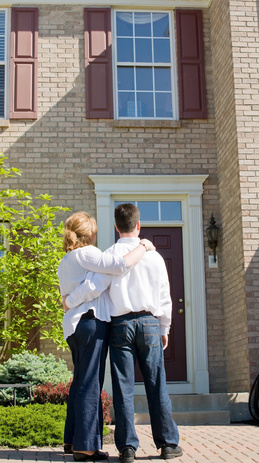 B Simmons & Son can provide recommendations and competitive quotes for surveys and conveyancing. When you come to sell your home, remember that presentation is important and whilst to the majority of us this may seem like stating the obvious, it is worth remembering a few basic facts about the way you present your home. Imagine that you are visiting your property for the first time. Think about what you would like to see; this will give you a good idea from a buyers’ perspective. Greet your prospective buyers with a smile and talk about the positive aspects of your home. Don’t hurry people; show them round and then give them the opportunity to browse and discuss alone. Do be prepared to ask where, when and why you are moving, and to answer as positively as possible. If you are in any doubt, allow your B Simmons & Son representative to do the talking, especially when it comes to the Financial negotiations. Remember – that is what we are trained and experienced in doing! When it comes to money, no one likes nasty surprises. To help you plan your finances and ensure you haven’t overlooked anything, B Simmons & Son has highlighted some of the things that you will need to budget for when moving house. B Simmons & Son would recommend that in the early stages of your house sale you start to obtain estimates for the above services in order to budget accordingly.